This Dawn image shows a young, fresh crater, which is about 7 km in diameter, in the lower right part of the image. This crater has both dark and bright rays fanning out from it. The bright rays extend much farther from the crater than the dark rays, which are located close to the crater rim. Rays around a crater are formed when relatively small sized pieces of material are ejected by the impact that formed the crater. When larger pieces of material are ejected they can form secondary craters. Clusters and chains of sub-kilometer diameter secondary craters occur roughly 15 km to 20 km away from the rim of the 7 km crater. They are called secondary craters because the blocks that formed them were ejected from a crater formed by a primary impact. Sometimes blocks fall back into the initial crater. Many of these blocks can be seen on the floor and walls of the 7 km diameter crater. These blocks are several tens of meters in size. 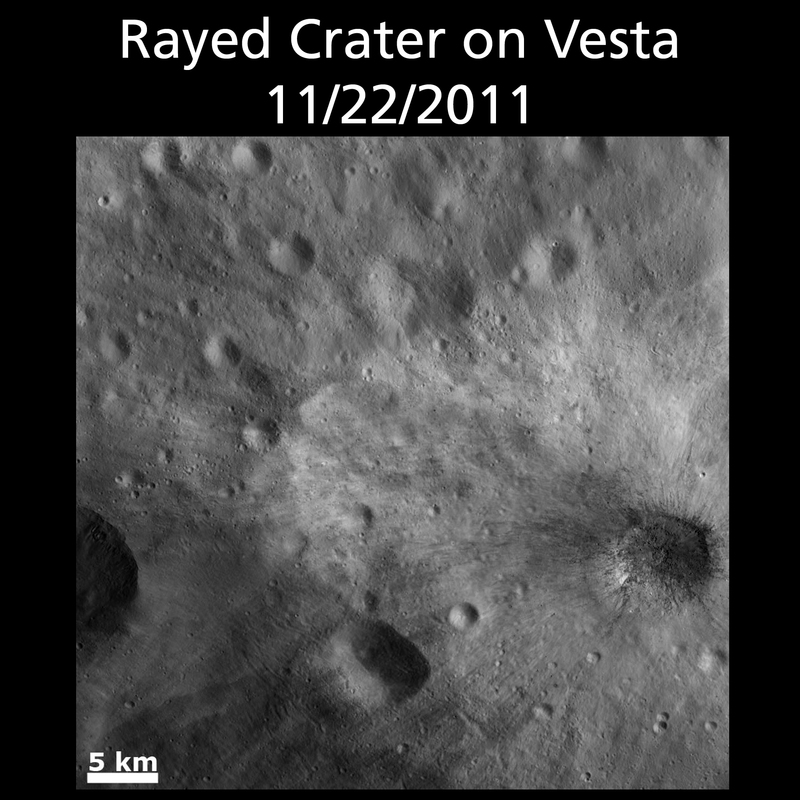 Pretty good description of crater rays and why this is cool by NASA. Why is it cool? Because it has dark AND light rays. Looks pretty neat to me. 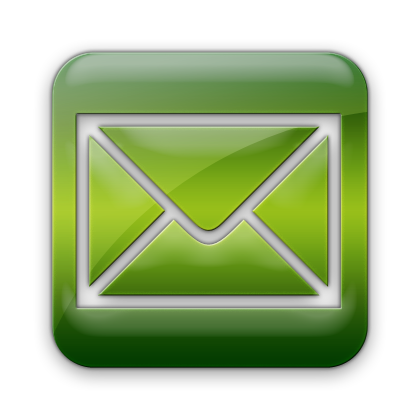 Vocabulary from above: “sub-kilometer diameter” – craters that are less than a kilometer across. Of Interest: This image, taken with the Narrow Angle Camera (NAC), shows a pair of secondary crater chains. These features are formed when ejecta from a primary impact is thrown outward from the growing crater cavity. As chunks of ejecta fall back to the surface, they can form chains of secondary craters that often overlap. Just like in the Dawn image above, we’re talking about “secondary craters” – craters formed by stuff tossed up by an impact. 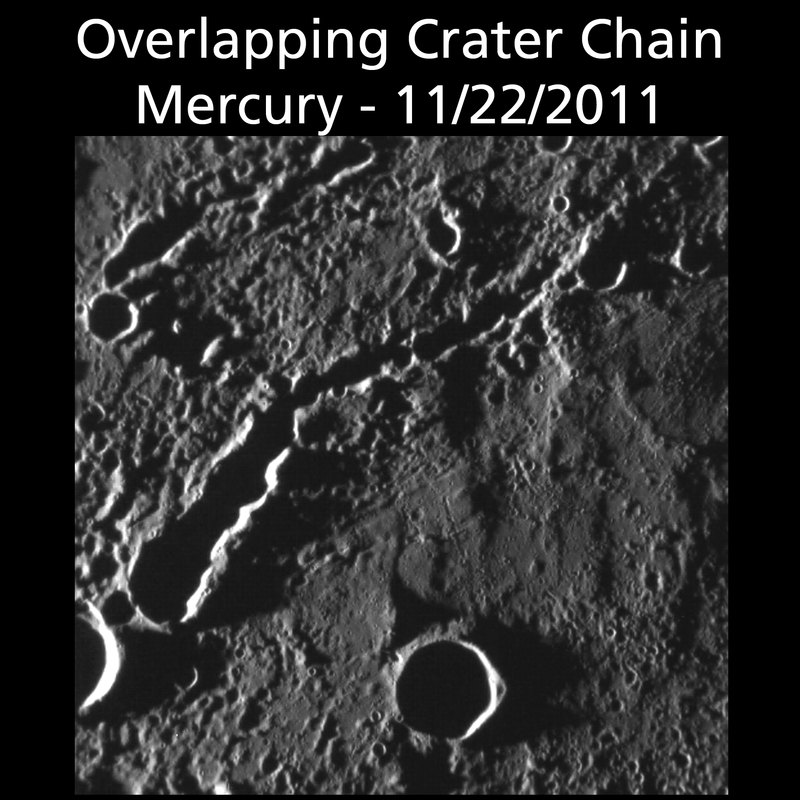 This is, believe it or not a crater chain, but the impacts are so close together it makes what looks like a single gouge.